Social Media is an ever growing and increasingly more complex segment of the marketing world. 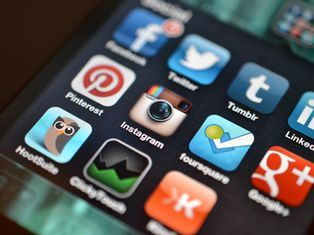 First and foremost you need to understand one fact: Social Media is an App based marketplace designed to sell ads. How the users you want to reach act, react and their content preferences are different on each social media channel. How you would benefit from marketing on each channel is different, and a lot depends on the social media platform. Many small business owners are frustrated by social media. We find that mostly these frustrations are driven by their attempts to manage it themselves or from working with an over priced outside source that delivers no ROI. If you don't believe that Social Media is important to your business you should rethink that. Industry data from two years ago showed that over 72% of customers will check out a Facebook page (according to the most recent figures supplied by Facebook) before making a purchase. This has no doubt increased. This single piece of information goes a long way to presenting a convincing argument as to why social media can't be treated as an "optional" media choice any longer. The fact is, that customers are so highly valued in business today that a direct conversation with them through social media is viewed as a personal contact and is considered a critical step in the sales process. We have seen that despite the best intentions to do otherwise, many small business owners end up prioritizing their social media and marketing as a task, and only have time after operations and day to day essentials - or have no time at all. The problem with in-house social media management can be when reality gets in the way and the self directed social media efforts fall off. Finances, personnel, merchandising and other vital processes that keeping a business going must take precedent when you are an owner wearing all those hats. More often than not, a small business' social media management becomes a hit or miss affair. We're different and we treat Social Media differently. We've designed Breakthrough Marketing and Media Strategies, Inc so that you only pay for the services you need. Let us put our experience to work and provide marketing and media solutions that are impactful, easy to manage for your business and cost effective.